SEO MozCon Live 2011 Review. If you’re not too sure what I’m talking about, it’s a the annual conference put on by SEOMoz… the guys behind a whole bunch of cool SEO tools. What I like most about it is that it’s outside the typical Internet Marketing bubble many live in – it’s SEO for the big boys. The companies that attend this conference are the companies that handel SEO and online marketing for the likes of Amazon, Zappos, REI and Delta Airlines. Serious SEO at the corporate level! As you could imagine there’s great lessons to be learned – especially since these companies have to stay super white hat – they can’t be caught jeopardizing a multi-million dollar brand online. Steve Ovens, a good friend and SEO genius, attended this year’s SEO MozCon so shortly after his return I asked him to give me a full rundown of the event. Best of all, I recorded it for you… it’s free, no optin required… just sharing the love. 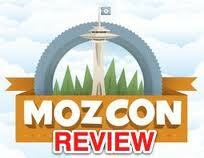 Click to download Steve’s SEO MozCon 2011 Review. Ps. If you can help me continue to share the love be sure to tweet this, Facebook it and Google+ it. PPs. Click here if you’d like to see the SEO MozCon agenda. Seems like a great event, hoping I can find some time next year to attend a few SEO conferences. Which SEO conference would you recommend the most? Thanks for the link…love it, I put a cheeky link at the bottom of this, hope you dont mind. Hehehe… that was a little cheeky Pramesh but I’ll let it through this time 😉 Please be sure to retweet this post and I’ll call us even.